The National Pollution Discharge Elimination System (NPDES) Compliance and Enforcement Program of the Clean Water Act, regulates point source discharges to the nation's waters. NPDES permits can be issued to individual dischargers or can be issued for a group of dischargers (i.e., general permits). Both individual and general permits contain requirements for controlling pollutant dischargers, monitoring discharges, reporting compliance. Wet Weather Programs are sub-components of the NPDES program, and address wet weather discharges such as runoff from rainfall or snowmelts, and include the following programs: Storm Water Program, Sanitary Sewer Overflow (SSOs) Program, Combined Sewer Overflow (CSOs) Program, and Concentrated Animal Feeding Operations (CAFOs) Program. Program evaluations of Municipal Separate Stormwater Sewer Systems (MS4) are being conducted to determine permittee compliance with NPDES permit requirements and to evaluate the implementation status of EPA's stormwater regulations. The program evaluations are also being conducted to evaluate the overall effectiveness of the MS4 program. The program reports do not represent a formal finding of violation. On October 28, 2010, U.S. EPA Region 9 teamed with the State of California Regional Water Quality Control Board Los Angeles Region and inspected the sewage collection system owned and operated by the City of Avalon, on Catalina Island, 22 miles from Long Beach, California. This report was issued to the City of Avalon on Thursday, February 17, 2011. U.S. EPA Region 9 teamed with the State of California Regional Water Quality Control Board Los Angeles Region and the California Water Resources Control Board on December 20, 2011 to inspect the sewage collection system that is owned and operated by the City of Alhambra, California. This report was issued to the City of Alhambra on Wednesday, May 30, 2012. On April 20, 2011, EPA Region 9 issued an Administrative Order (PDF) (6 pp, 140K) to Eastern Municipal Water District (EMWD) for improper treatment of biosolids prior to land disposal at their Moreno Valley Regional Water Reclamation Facility. The order requires EMWD to stop land application of biosolids until they can comply with proper treatment requirements; provide a plan to monitor the temperature and residence time in their biosolids digestors; and verify with their contractors that the biosolids shipments are properly disposed of. On July 28, 2014, EPA, the U.S. Department of Justice, the California Water Resources Control Board, the San Francisco Bay Regional Water Board, San Francisco Baykeeper, and Our Children's Earth Foundation signed a Consent Decree with the East Bay Municipal Utility District (EBMUD) and the seven east bay communities in its service district to repair and upgrade the 1,500 mile-long sewer system infrastructure to eliminate discharges of raw and partially-treated sewage to San Francisco Bay and other east bay water bodies. The value of this work is approximately $1.5 billion. EBMUD and the local agencies will also pay $1.5 million in civil penalties for past discharges to the San Francisco Bay. The U.S. Environmental Protection Agency today issued enforcement actions requiring nine sewage collection systems in the Sausalito and Mill Valley areas of southern Marin County, Calif. to address chronic sewage spills, improve sewer maintenance and implement long-term programs to renew aging sewer pipes. The deteriorated condition of the sewer systems became evident in January 2008 when heavy rains overwhelmed the systems resulting in large spills to Richardson Bay and San Francisco Bay. The EPA enforcement orders were issued to the cities and sanitary districts that convey wastewater to the sewage treatment plants operated by the Sewerage Agency of Southern Marin in Mill Valley and the Sausalito-Marin City Sanitary District at Fort Baker. Deteriorated conditions of the sewer systems became evident when heavy rains overwhelmed the systems causing several large sewage spills into Richardson Bay and San Francisco Bay in January 2008. Rainwater infiltrated into cracked pipes, causing January 25 flows to exceed the capacity of the emergency holding basin at the SASM wastewater treatment plant, where 2.45 million gallons overflowed to Richardson Bay. Another spill occurred on January 31 when operators at the SASM treatment plant failed to operate all of its discharge pumps leading to a 2.7 million gallon spill to Richardson Bay. In Sausalito, the January 25 storm led to a 63,000 gallon spill from a sewer manhole on Marinship Way. EPA inspections of the collection systems revealed that they have a history of chronic spills. Most spills are relatively small volume and caused by roots growing into cracks in the pipes. This pattern of spills is commonly found in aging sewer systems in which many pipes were installed in the 1950’s and earlier. During winter storms, rainwater leaking into defective pipes leads to even greater problems including large volume spills and disruption of wastewater treatment plants. 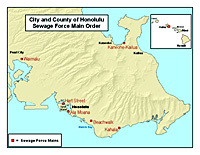 Sewage spills are reported to the State Water Resources Control Board and these reports are available to the public on the Board’s Web site . The EPA orders require the sewer systems to employ a number of strategies to reduce sewage spills. In the short-term, the systems are required to implement aggressive sewer cleaning programs aimed at the most problematic pipes. The systems are also required to inspect their sewer pipes and measure wet weather flows that are passed on to the sewage treatment plants. Finally, the systems must develop plans to manage excess flows and implement long-term programs to repair and replace deteriorated sewer pipes. 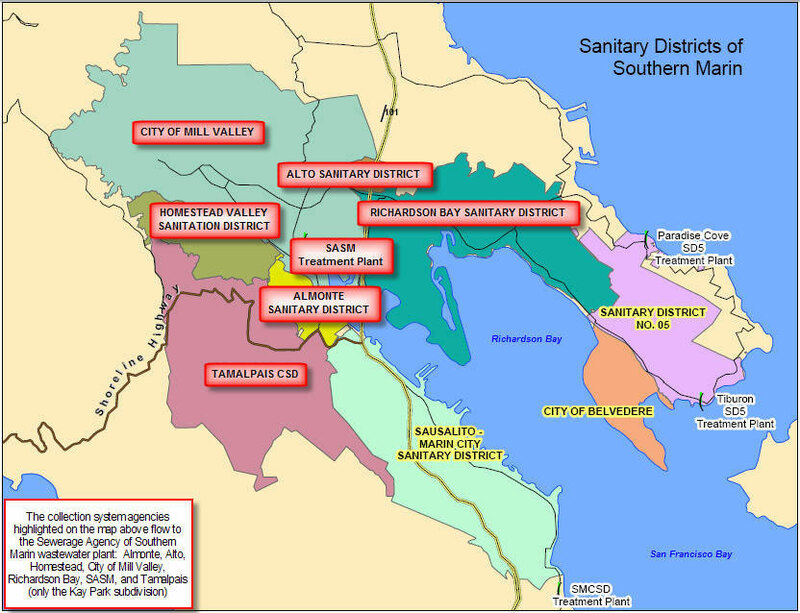 The wastewater collection and treatment systems in southern Marin County are managed by several small sewer districts and cities. The small size and fragmented nature of the sewer agencies has made it difficult to adequately fund and effectively manage wastewater. As the sewer systems have aged and deteriorated, the cost of repair and rehabilitation has increased considerably placing further strain on the small districts and cities. The Sewerage Agency of Southern Marin treats wastewater from about 28,000 people in the Mill Valley area. The sewage is collected from homes and businesses in networks of sewer pipes that are owned and maintained by five separate sanitary districts and the city of Mill Valley. Sausalito-Marin City Sanitary District treats wastewater from about 16,500 people in Sausalito, Marin City and Tam Valley. With the Orders, EPA encourages the cities and sewer districts to coordinate their responses to the orders and collaborate in actions to finance, operate and renew their wastewater infrastructure. EPA and its contractor conducted compliance evaluation inspections of the Marin County sewage collection systems last fall and earlier this year. *Home phone numbers and names of private citizens that appear in the report attachments have been redacted from the Web posting of the inspection reports. U.S. EPA Region 9 teamed with the State of California Regional Water Quality Control Board Los Angeles Region and the California Water Resources Control Board on December 21, 2011 to inspect the sewage collection system that is owned and operated by the City of Redondo Beach, California. This report was issued to the City of Redondo Beach on Thursday, July 19, 2012. Based on a comment from Redondo Beach, page three has been updated. The final Consent Decree is an agreement between the Federal government, Surfrider, Baykeeper, and the City of San Diego that sets a framework to remedy problems with the City's sewer collection system. The settlement is valued at a total of approximately $1 billion, which includes work completed under two previous partial decrees. Work includes enhanced maintenance practices and completion of a number of capital improvement projects. The Administrative Order (AO) to Sausalito-Marin City Sanitary District (SMCSD) was signed on May 31, 2007, and was issued simultaneously with a Minimum Mandatory Penalty Order from the San Francisco Bay Regional Water Quality Control Board. 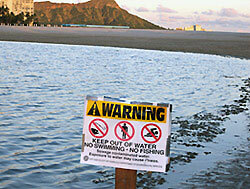 EPA's AO requires SMCSD to comply with the Clean Water Act and its NPDES permit. Seven-Up/RC Bottling Company of Southern California agreed to pay a $428,000 fine to resolve civil violations of the Clean Water Act. The civil consent decree addresses storm water and pretreatment violations and requires the company to take remedial measures, in addition to the fine. On March 25, 2010, U.S. EPA Region 9 and the State of California Regional Water Quality Control Board Los Angeles Region inspected the sewage collection system owned and operated by the City of South Pasadena, California. This report was issued to the City of South Pasadena on Thursday, March 27, 2010. City of West Hollywood, California, Sewage Collection System: SSO Program Evaluation. U.S. EPA Region 9 teamed with the State of California Regional Water Quality Control Board Los Angeles Region and the California Water Resources Control Board on December 22, 2011 to inspect the sewage collection system that is owned by the City of West Hollywood, California and operated by Los Angeles County Department of Public Works under a contract with West Hollywood. This report was issued to the City of West Hollywood on Thursday, July 19, 2012. Comprehensive settlement reached between the Federal government (EPA and Department of Justice), Hawaii Attorney General’s Office, Hawaii Department of Health and three environmental groups (Sierra Club - Hawai’i Chapter, Hawai’i’s Thousand Friends and Our Children’s Earth Foundation) with the City and County of Honolulu that addresses Clean Water Act compliance at Honolulu’s wastewater collection and treatment systems. The settlement includes a comprehensive compliance schedule for the city to upgrade its wastewater collection system by June 2020. The Honouliuli wastewater treatment plant will need to be upgraded to secondary treatment by 2024. The Sand Island plant will need to be upgraded by 2035, but could be extended to 2038 based on a showing of economic hardship. The Consent Decree is currently under review by U.S. District Court for the District of Hawaii and has not yet been approved as final. 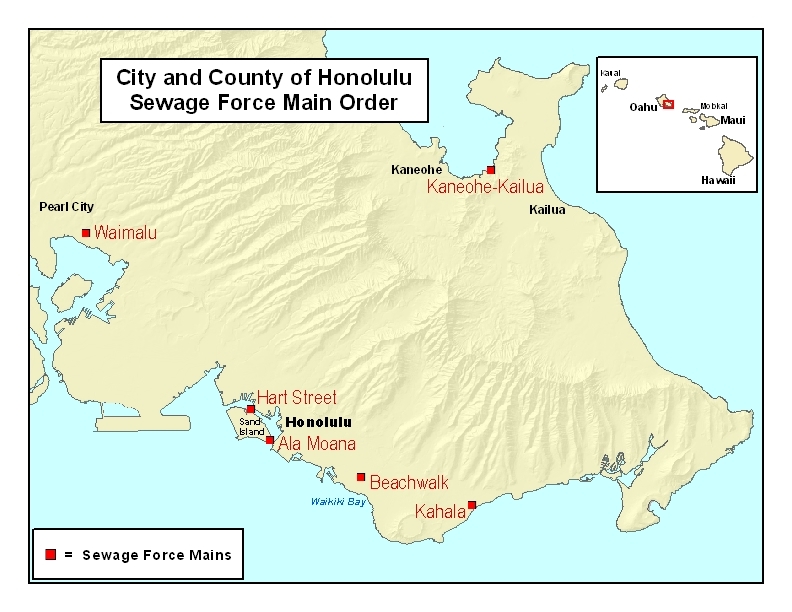 Agreement between the Federal government (EPA and Department of Justice), the State of Hawaii, and the City and County of Honolulu to address vulnerabilities in Honolulu's sewage collection system. James Pflueger agreed to pay $2 million and spend more than $5 million on environmental projects, including restoration of streams in the area damaged by construction on his Kaua'i property. On September 30, 2010, Administrative Orders were issued to Guam Power Authority (GPA) for its Tanguisson and Cabras power plants. These Orders require GPA to take all necessary steps to come into compliance with its NPDES permits and with the Clean Water Act. The two Administrative Orders include the inspection reports. On 24 November 2008 the U.S. Environmental Protection Agency issued Findings of Violation to the U.S. Navy for permit violations under the federal Clean Water Act at Naval Base Guam. In July, EPA inspectors discovered the violations during inspections covering several different federal environmental statutes and programs. The Findings of Violation cited discharges from the Navy's Apra Harbor Wastewater Treatment Plant that exceeded water quality permit limits, and several unpermitted discharges to the Namo River during the repair of the Navy's Fena Water Treatment Plant. The Navy also did not fully or properly implement controls for stormwater discharges from industrial activities located on the base, and three Navy construction sites on the base did not have proper stormwater pollution measures. From April 26 through May 7, 2010, EPA conducted a comprehesive inspection of the Apra Harbor WWTP and collection system, including plant, equipment and sources on the Naval Base Guam and on the Guam Shipyard. EPA found that the Navy has substantially addressed the violations cited in the Nov 2008 Finding of Violation. Storm water activities were found already revised and implemented. Infrastructure rehabilitation was already assessed, scoped, partially funded, and begun. Source controls were identified and evaluated. On March 31, 2011, the Navy and EPA signed a Federal Facilities Compliance Agreement to resolve the 2008 Finding of Violation. 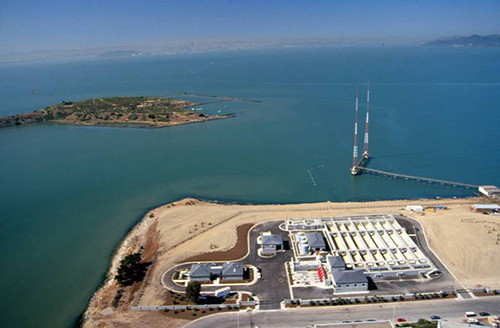 The FFCA sets out a schedule of upgrades the Navy will make to the Apra Harbor wastewater treatment plant and domestic sewer system, including the base-wide repair and replacement of force mains, relief sewers, sewer laterals, manholes, and lift stations. Under the FFCA, the Navy also will institute a source control program to minimize the discharge of metals, oils, and other non-domestic pollutants into the domestic sewers from shipyard and industrial sources. Finally, under the FFCA, the Navy will modify the drinking water plant to curtail losses of alum into the sewers and prevent leaching of copper from household piping. The source control program will start in October 2011. The wastewater infrastructure work is scheduled for completion by September 2016.